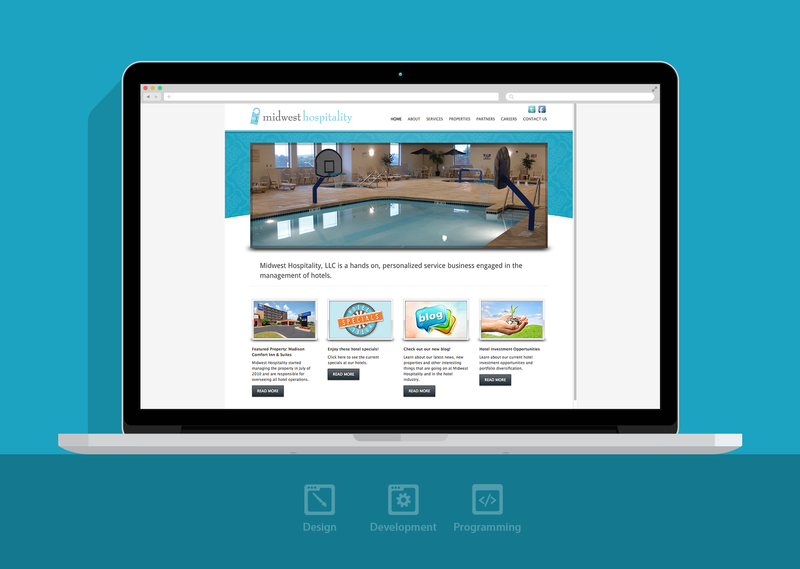 PROJECT GOAL: To re-design the website for a hotel hospitality company. Midwest Hospitality, as the name suggests, is a hospitality company providing service for hotels. They were in need of a “re-fresh” for the website, so we created a clean, simple design highlighting some of their properties.